Clips will launch in early April. Apple has announced the upcoming launch of a new app designed to make it fun and easy for people to create and share “expressive videos” on their iPhone and iPads. 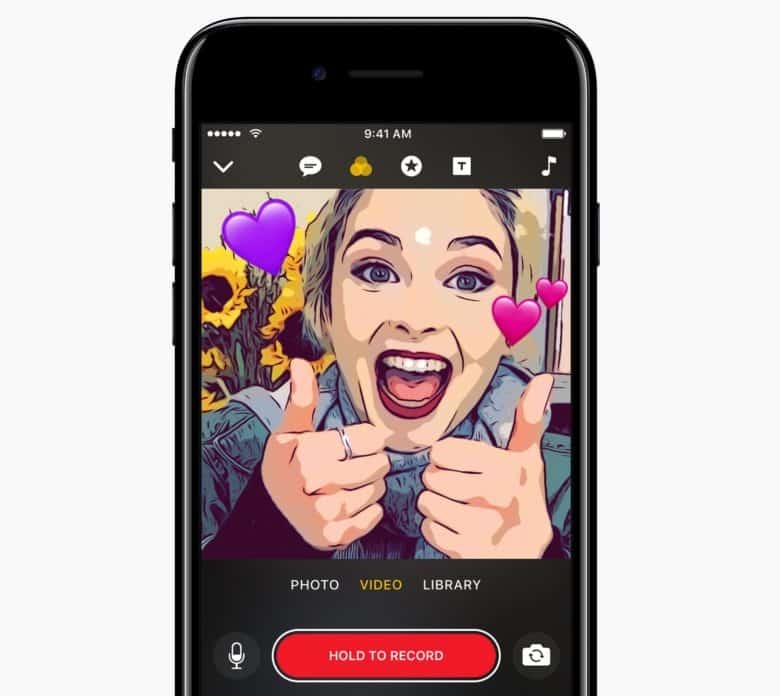 Called Clips, the social app will work by combining video clips, photos and music into videos that can be shared with friends through the Messages app, or using Instagram, Facebook and other popular social networks. Among the features is the ability to create what Apple calls “Live Titles,” which refers to technology for generating animated captions and titles using nothing more than a user’s voice. Effects that can be created using Live Titles include comic book filters, speech bubbles, shapes and full-screen animated posters. To create a clip, users will start out by shooting video or still photos, or importing existing ones from their Photo Library. They can then add effects and soundtracks that come with the app; the latter of which will automatically adjust to fit the length of a video. Clips is set to launch for free at the start of April, and will be compatible with newer iPhones and iPads, running iOS 10.3. The launch of a youth-focused app not dissimilar to Snapchat (except without the disappearing images or video concept) or Vine is not a total surprise. Last year, Bloomberg reported that Apple was looking to debut new functions within iOS as part of its new strategic pivot toward making money from services. At the time it was suggested that the standalone app, now known as Clips, was being developed by the same Apple engineers who worked on Final Cut and iMovie, while the team was led by Joe Weil, a former video production company president, who joined Apple in 2015. With added recent focus on being able to send GIFs and doodles using iMessage, the hope within Apple is surely that Clips will catch on among the younger, Snapchat and Vine-using teens and twenty-somethings out there. Will it work? We have a few more weeks to wait and see.